This is a brand new sparkling Swarovski Crystal Floating Ribbon Organ Transplant Awareness Bracelet (B177) and is a one-of-a-kind. 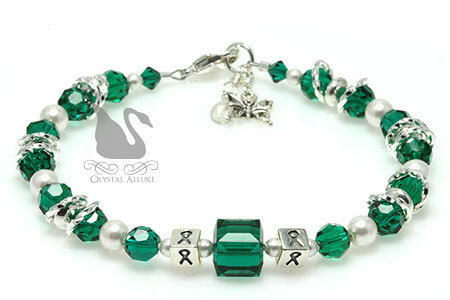 This unique organ transplant awareness bracelet features a centered emerald green Swarovski Crystal flanked by sterling silver awareness ribbon block beads and accented in a beaded style of sterling silver, crystals, pearls and silver floating twisted rings. Finished with a sterling silver butterfly charm and our signature jewelry tag. This may sound silly, since I am the designer, but I am always amazed at how beautiful the transplant awareness bracelets are. No matter what mix of crystals, beads, gemstones or sterling silver I use, the result is always a chic bracelet I'd be proud to wear. 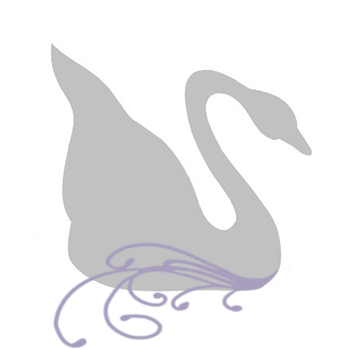 And the fact that it raises awareness of an important cause makes it all the more beautiful! Beautiful creation! I love making awareness jewelry. It is important!